We Help Our Clients Succeed (Profitably)! Since 2002 our Miami Video Production Company has consistently earned high praise from hundreds of very happy clients. They've included start-ups, small businesses, mid to large sized corporations, large international corporations and Fortune 500 companies. We welcome companies, organizations and projects of all sizes and budgets! "Through Greg's guidance and his company's expertise, he produced a informative and professional training CD that exceeded our expectations. A true work of art! I would highly recommend Greg's company... to any business that wants to separate themselves from their competition... Top Qualities: Great Results, Personable, High Integrity"
Ball Media Innovations is the ONLY video production company from Miami to Orlando with extensive business, marketing and training knowledge, education and experience. We partner with you to design highly effective videos that tell your story, capture and educate your viewers, move them to the action you're hoping for, and increase your profits. We do all this with no additional fees, and within your budget. Our Video Production Company Can Help You Reach Your Goals! As Florida's Top Marketing Video Production Experts, we learn about your brand, products, services and target market, and then strategize to create quality videos that drive in great results. Our website & social media videos can help enhance your branding, drive traffic, build trust and credibility and sell your products and services. We can tell your story in a way that reaches and converts your target market. With us you'll always get our A-Team crews with proven track records and vast experience. We can capture speakers, panel discussions, trade shows, events & activities, participants, sponsors, live demos, etc. WE ALSO OFFER VIDEO PRODUCTION SERVICES FOR TRAINING — MANUFACTURING — MEDICAL VIDEOGRAPHY — PUBLIC RELATIONS. Contact us now. 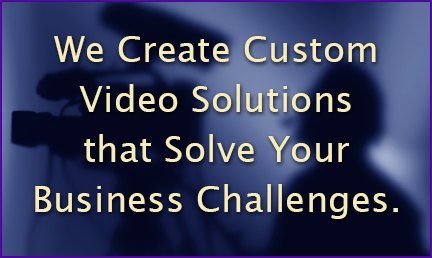 We'll discuss your vision, and give you ideas that can help make your video a success. You'll also receive a Free Quote! There's no obligation. It's smooth sailing as we take the burden from you, with outstanding customer service and a seamless video production process. We give our all to make sure you're happy. Check out our customer service policies here, and hear directly from our clients below. "The professionalism they showed was unsurpassed. They were a delightful group of people to do business with. Ball Media far exceeded my expectations in all areas... They made me feel at ease, did everything professionally and without any stress or attitude... I look forward to doing future media projects with Ball Media." "Greg and his team deliver a superior product at a value that can't be matched. Greg far exceeded my expectations with his professionalism and talent... Greg was able to pick up the project with little instruction and delivered exactly what we needed... I highly recommend Greg and Ball Media Innovations..."
Video can be a powerful tool for driving sales, and we provide small businesses in the Miami, Fort Lauderdale and Palm Beach areas with affordable solutions. We understand training theory and how to help people learn through video. Whether it's a live event or a step by step training video, our videos keep your viewers attention while making challenging topics easy to understand. We know of no other Miami video production company that can offer these things. We're experts in video production for all aspects of manufacturing including plant and facility videos, marketing and social media videos, training, trade show videos, website videos, new employee orientation, etc. Whether you're looking for a Miami video production company, or you're in the Fort Lauderdale, Palm Beach or Orlando area, Ball Media is your top choice. Ball Media Innovations has extensive experience creating successful videos for the medical community. This includes doctors, small practices, mid to large size practices, hospitals, labs, pharmaceuticals, medical manufacturing companies, medical organizations, nutritional companies, veterinarians, medical educational companies, etc. Ball Media Innovations is a complete one stop shop for your Miami video production services needs. Our headquarters is in Pembroke Pines Florida, right between Miami and Fort Lauderdale. We serve all of Southeast Florida. We also have video production crews in the Orlando area, and Greg Ball, President of BMI frequently directs videos there. For over 16 years we've been designing videos that propel our clients businesses forward and upward. Ball Media Innovations offers you more value for your money, because we have the ability to help you reach your goals.